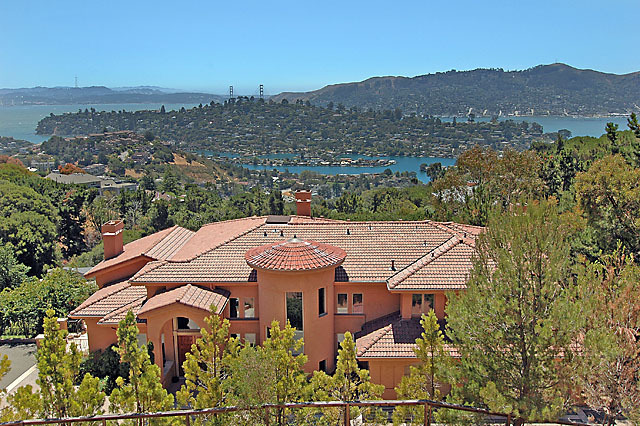 Exquisite custom designed Tuscan style mansion built with painstaking attention to detail and offering spectacular panoramic views of the San Francisco Bay, Belvedere Lagoon, and the Golden Gate Bridge from nearly every room. Located on an exclusive private road with only 3 homes, this gated, 5 bedroom, 6 full bath and 2 half bath, appx. 7,000 square foot residence including a 3-car garage sits on a 1.02 acre, fully usable lot, with its long private driveway offering unrivaled privacy. This high quality residence personifies magnificence and grandeur while maintaining a comfortable and relaxing family style. 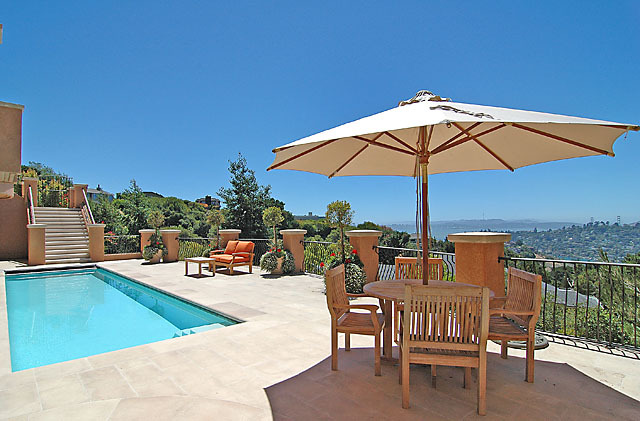 A wrap around limestone veranda encircling the main floor of the house, along with the dual staircases leading to the elegant pool and spa area overlooking the views and garden, provides beautiful spaces for relaxation and entertaining. The grand entry hall and gallery is accented with custom crafted limestone and marble. Unique Italian style plaster walls bring out the Tuscan charm and warmth. 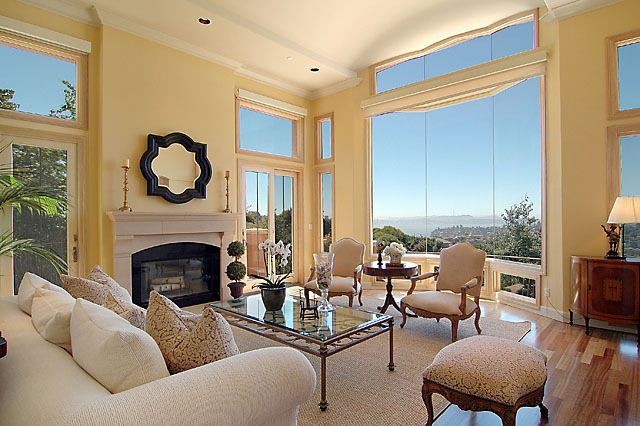 An 18-foot high mitered-joint glass bay window draws a breathtaking view of the Golden Gate Bridge and San Francisco Bay into the formal living room. 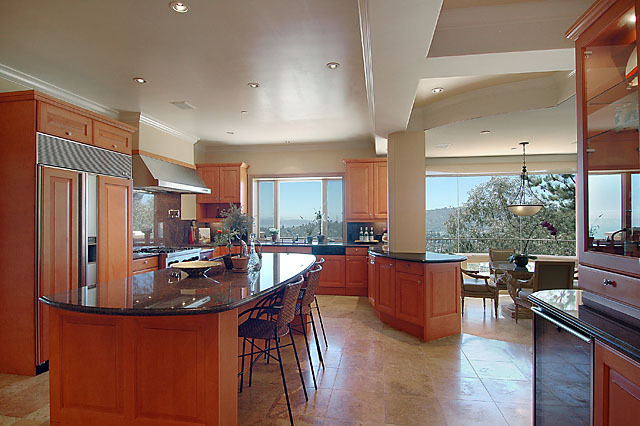 A state-of-the-art kitchen adjacent to a spacious family room with fireplace is perfect for family gatherings. There is also a library with a garden terrace, a luxurious master suite with fireplace, 2 walk-in closets and sweeping views. Other features include an auditorium style theatre, motor court parking for more than 20 cars, steam room by the pool, and ample storage. Anderson wood clad windows, sliding doors and French doors throughout the house. The entire house is accented with handpicked limestone and marble. The living room with an 18ft high mitered glass bay window offers a breathtaking panoramic view; it also has a cast-stone fireplace and Brazilian cherry floors. Dining room with Brazilian cherry hardwood floors and coffered ceilings. Kitchen with custom maple wood cabinets and stainless steel accents, Thermador stove with 4 burners + griddle and a 24” wok unit with in-wall water filter, Sub Zero refrigerator, two Miele dishwashers, Miele rotisserie oven, Franke professional sinks, granite counter tops, spacious walk-in pantry, and built-in dust-pan vacuum. Breakfast nook with mitered glass window offering panoramic view of the Bay. Family room has a cast-stone fireplace, a sliding glass door that opens to the veranda, and stairs leading down to the pool area. Built-in speakers throughout the main floor. Beautifully appointed powder room is spacious and has a storage closet. The grand gallery hallway is perfect to showcase art collection. Elegant wrought iron staircase with premium wool carpeting leads to the second floor. 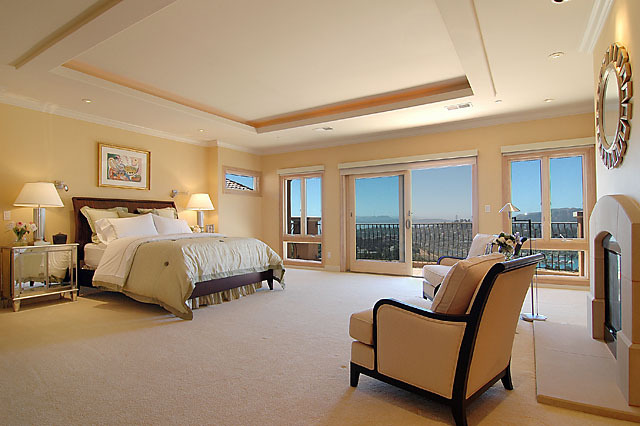 Luxurious master suite has a cast-stone fireplace, two large walk-in closets and a coat closet. 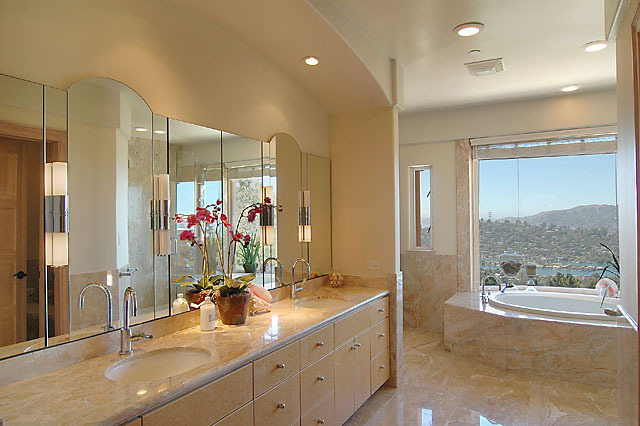 The spacious master bathroom featuring a Toto toilet and bidet, built-in medicine cabinets over marble counter top, a separate makeup area, a marble shower and a spa bathtub next to a large bay window with breathtaking views. Three additional bedroom suites each equipped with its own bathroom and large fully appointed closets. Laundry room located on the 2nd floor for your convenience with a laundry sink, washer and dryer hook-up, cherry wood cabinets and stone countertops. 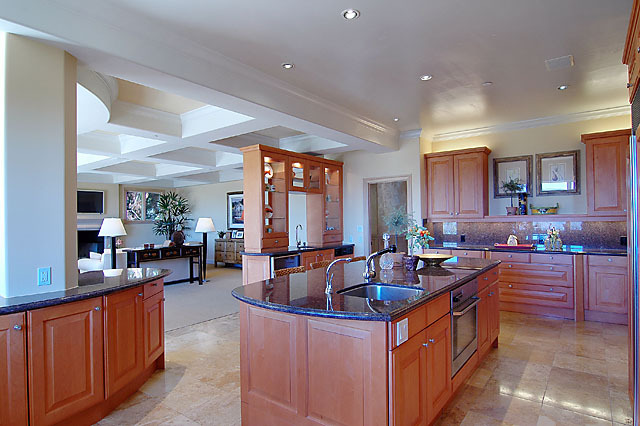 The lower level has a large bedroom suite for guests or in-laws, an auditorium style in-home theatre-ready room; this spacious room can also be used as an exercise or game room, a half bath, a mini bar in the hall, and a closet suitable for conversion into a wine cellar. French doors lead to the spacious pool area featuring a 36-ft heated pool with an automatic pool cover, an 8 jet Jacuzzi spa tub, a full bath with the space ready for steam-room and a large changing room that can also be a space for a gym. Three-car garage with insulated doors and quiet motors. The main floor and the second floor have its own individual air conditioning units. All floors have individual heating system. The gardens with plants, flowers and lawns are professionally landscaped and designed for low maintenance. There is ample space for fruit trees or children’s playground. A built in vacuum system throughout the house. Fire sprinklers, fire alarm system, hot wire smoke detectors and security system. 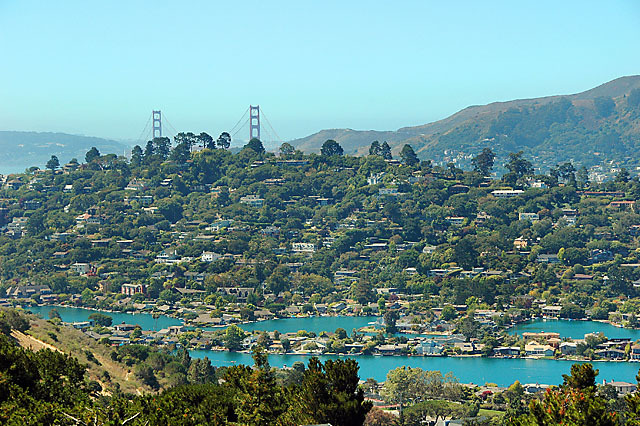 Sotheby’s International Realty® is a registered trademark licensed to Sotheby’ International Realty Affiliates, Inc.